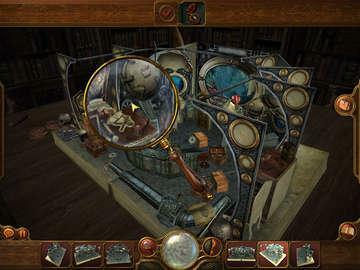 Live the stories-within-a-story in Paige Harper and the Tome of Mystery, and see timeless tales come to life in an amazing 3D Hidden Object journey! Late one night, Paige Harper stumbles upon a secret library and becomes trapped within a magical book. 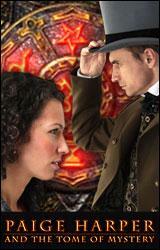 Her only way to escape this Tome of Mystery is to sort out the seven classic stories found within. Help Paige set the stories straight and free herself in this one-of-a-kind adventure. Get Romeo and Juliet to fall in love, solve mysteries with Sherlock Holmes, join Robin Hood's band of merry men, and more! 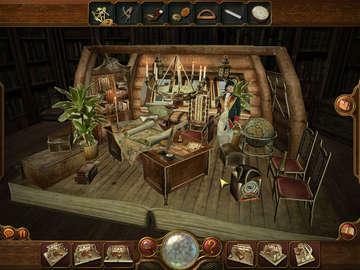 Each tale features interactive environments to twist, turn, and zoom through for hidden objects. 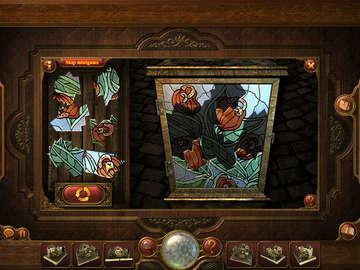 Play contextual mini-games including jigsaw puzzles, Match-3 boards, and picture puzzles. Use inventory items to solve problems, unlock bonus play modes and more. Can you save Paige? Play Paige Harper and the Tome of Mystery free with the demo version or download the full version today! Everybody has a hard day at work. Someone feels bored, while others just hate their jobs. Paige Harper isn’t a person which adores her job, but she doesn’t hate it too, just a regular job. But when the job drags you into a book in some sort of magical realm, that’s when you start wondering: “Am I paid enough for this?” As she was going to a place to collect a very rare book, the book sucked her in, and a ghost, who was caught the same way, when he was alive, told her what the mystery behind this book is. A couple of stories in different chapters are contained in this book, and the only way to free yourself, but also help the ghost find his peace is helping the characters and completing the stories inside the book, the way they should, but they aren’t just any stories… Hamlet, Romeo & Juliet, 20000 Leagues Under the Sea, Sherlock Holmes and so on, is all parts of the book and they all need your help to finish their obligations in the story. You'll have to jump from chapter to chapter to get all of the necessary items you'll need to help the characters with their quandaries. Every chapter has something to do with the next one, or the previous one. You will be finding a lot of items in early stage of them game you will need much later, and otherwise. When it comes to interaction with other items, your mouse changes into a gear and you know something must be done. Depending on the item and the situation you are in, so does the interaction differ, like collecting provisions for the trip in Treasure Island, tools to fix Captain Nemo's sub in 20,000 Leagues Under the Sea, and so on. There will be also puzzle solving scenes, such as pipes that need to be connected or a torn map that must be reassembled. What makes Paige Harper and the Tome of Mystery so different is that instead of staring straight ahead at one scene, you have to change views in the 3D scene to find your objects. You will be swirling around the whole room you are in and trying to find all that you need, and looking EVERYWHERE, as it can take a while if you aren’t use to the 3D 360 degree search action. There is the magnifying glass tool which helps you in the search for the really small items. Six buttons along the bottom of the screen allow you to look at the book from different angles, revealing areas that can't be seen from other perspectives. It's a simple mechanic that's used brilliantly and to maximum effect – just don't forget to look on the backs of bits of scenery! As the 3D concept is relatively new in the HOG section there can be times when finding items is really hard, so the fast filling hint button is almost always there to help you when you need it. Probably the best characteristic of the game is the characters of the game, as the images and faces are taken from the real films, making this game as much as real and familiar as it can be. Surely the best thing that the gamer will enjoy here is definitely the beautiful graphics and they will not be disappointed with it, especially if they are acquainted with the books in the game and playing through the game will be a real pleasure.